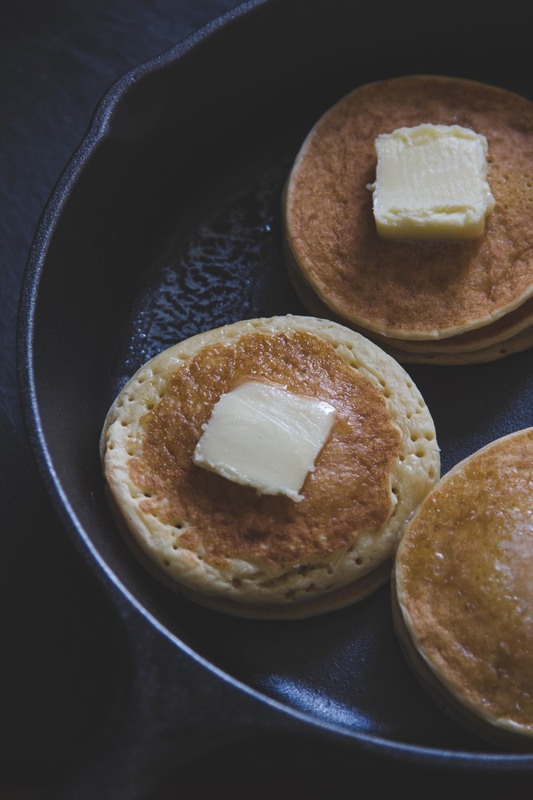 Pancakes + Starting the day off right. Breakfast is my favorite meal of the day. Not only because bacon is incredible or because there's an excuse to drown everything in liquid sugar, but because it's an opportunity to start the day off right. You can whip up creativity, relax with a coffee, or even trigger your sweet tooth. Everyday is a new chance. Start with breakfast, and add a little sugar. Usually with food styling, there's not much left that's edible after a shoot. 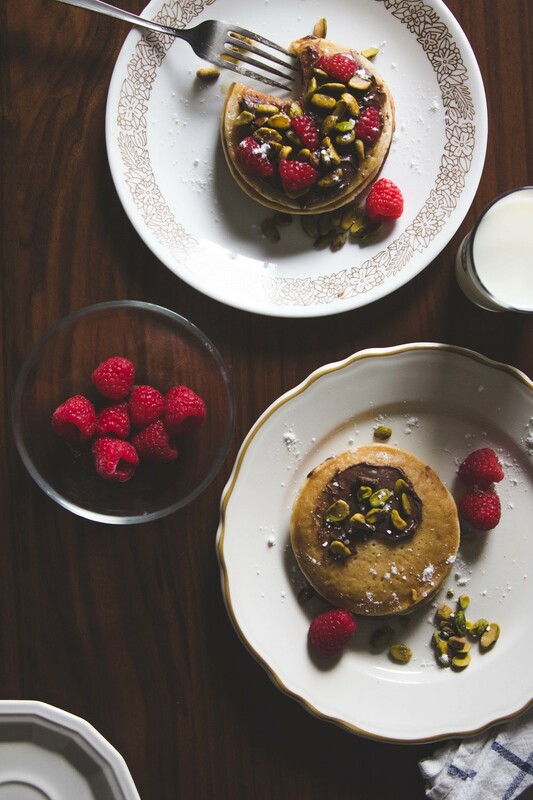 I'm so glad to say that I was able to eat these gluten-free, raspberry, pistachio, cocoa-almond pancakes after photographing them. I hope you can enjoy the images as much as I enjoyed shooting and eating them.